If you’re a super long time reader, you’ll know I swear by No7 colour matching foundation (which you can read about here) and have recommended it to friends, family and anyone that’ll listen, so when No7 sent me their latest products to try out I was crazy excited! I’ve been testing out these latest No7 recruits and hand on heart I love ALL of them!! I’ll start with the latest contour and highlighting duo known as the beautifully defined contour kit. I’ve been using the highlighter every day since I got it. It gives a beautiful sheen to the skin that’s glowy without being sparkly on the skin which for me is perfect. There’s nothing worse in summer than seeing big sparkly cheeks in the sunshine! It’s also brilliant for my dark under eyes. 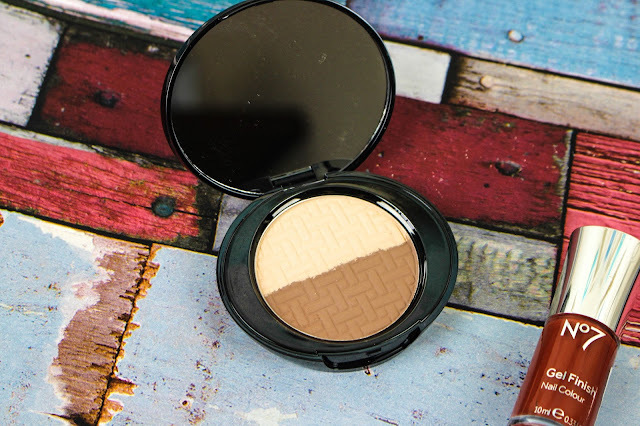 Sweep this over after concealer and it really brightens your under eye area. I’ve had lots of comments on my eyes looking really bright and awake and how did I do it! The contour is also dreamy. There are no orange hues which is perfect for anyone with pale skin and gives a naturally defined look when applied. As for the packaging that mirror is the perfect size for on the go and travelling which is a huge plus. The gel finish nail polishes claim to give "complete coverage in just one stroke" and I can vouch that they actually do. I'm now in a job where nail polish is a no no so I've had to kiss goodbye to my gel manis. Thankfully I can re-kindle that gel finish on a weekend with these beautiful colours which I believe are Ginger and Galaxy and think are perfect shades for the coming autumn. I've always loved No7 polishes but these gel polishes are a great new formulation and perfect for a quick one coat mani when you're in a rush or quite frankly don't have the patience for coats and coats of polish. Now onto eyeliner… I’ll admit I was a little sceptical about this as I’ve always been a liquid liner lover and used the same brand since I was 14! No7 have done it again though and made another amazing product which I don’t know how I survived without until now. 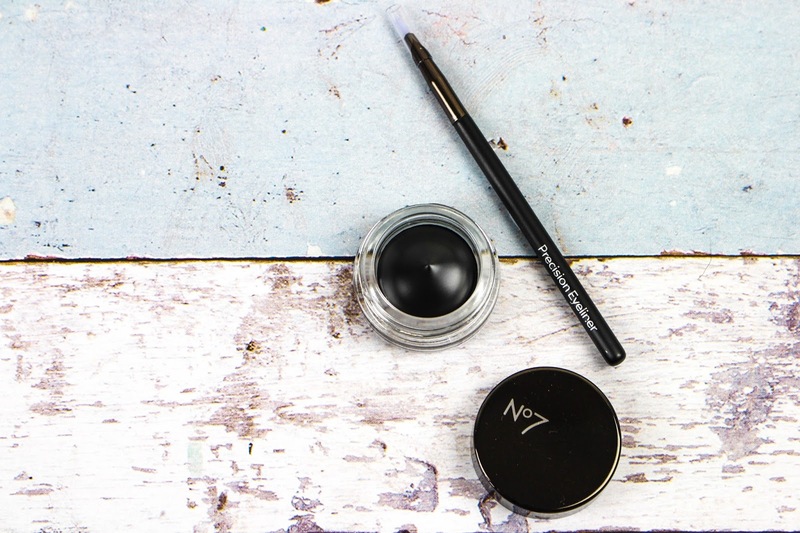 Firstly gel eyeliner is so much easier to apply, being more precise and easy to build on. The new precision eyeliner brush has a silicone tip which helps the gel glide across your lid, making application a breeze. For once in my life my eyeliner is actually “on fleek” and really accentuates my eyes. The other eyeliner is a liquid liner with a felt tip end (see top photo). Again this makes for easy application and the navy shade is a refreshing change from black. It’s great for a navy smoky eye or to accentuate blue eyes. I can see me wearing this a lot over autumn winter. Onto lips - No7 Lovely Lips lip balm to be precise. I’ve found my all-time favourite shade of lip product ever known as Coral Blossom. 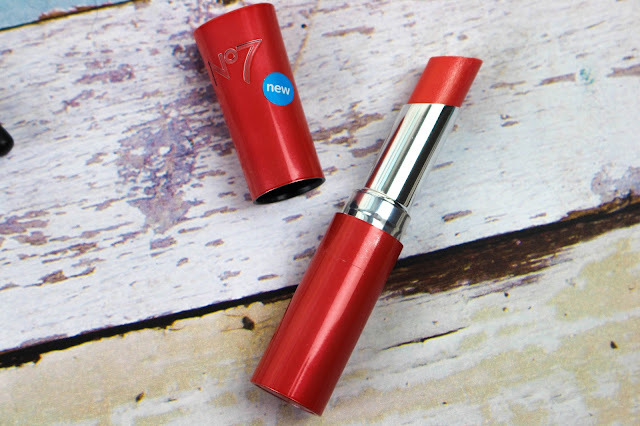 This gorgeous shade looks quite strong from the bullet but when applied it’s a stunning sheer balm that gives a healthy, juicy pop of colour to the lips whilst keeping them moisturised and smooth. 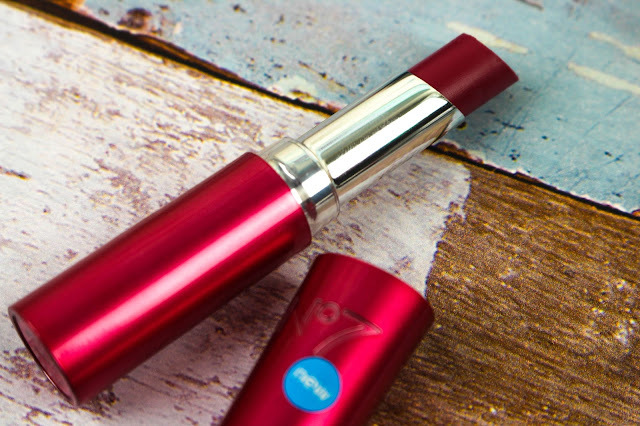 It's my go-to lip colour for summer, emphasising a tan and for everyday to pep up a natural make-up look. I haven't used the shade Deep Raspberry as much so far as I think this will be a great colour for autumn and winter, especially as it's vampy lip season. Instead of wearing a full on dark red in the day I can tone it down with this shade whilst still embracing the dark lip trend and of course maintaining my lips at the same time. So that's my round up on what's new in from No7. As I said before I honestly love every single item from the new range and would recommend everyone trying them for yourselves! Not only is No7 affordable, it's good quality too and you really do get your monies worth. 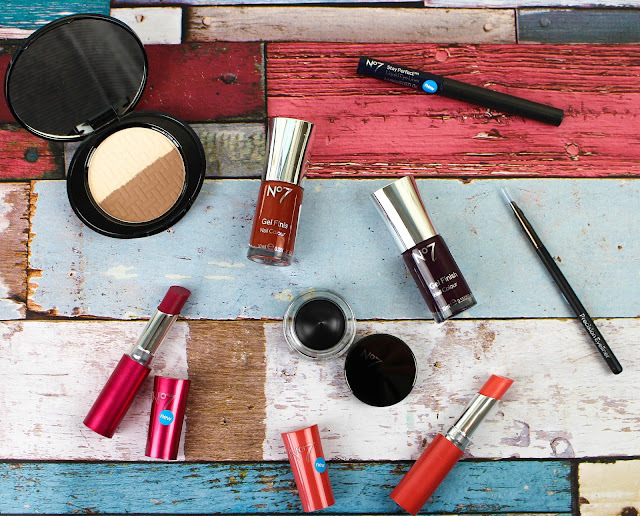 Have you tried anything new in from No7?